While in Baltimore, I bought some Mouth Party Salted Caramels, so I decided to make cookies with them! I love salted caramel, and these cookies were divine! 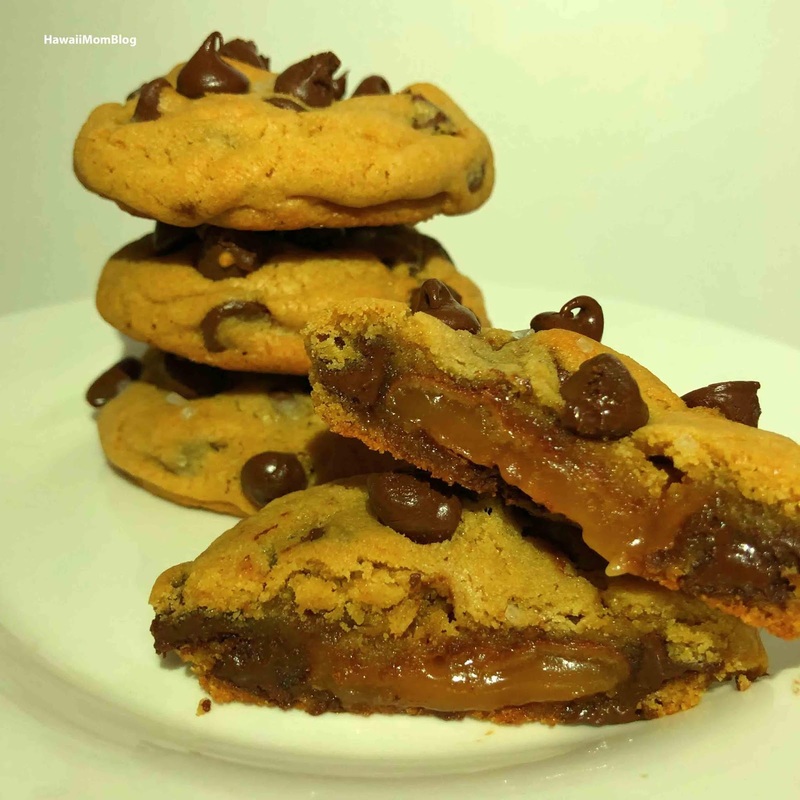 You can use other types of caramels, but be sure to wrap the dough around the caramel really well, or else you'll end up with a caramel explosion on your cookie sheet! In a medium bowl, combine the flour, baking soda, cornstarch and salt. In another medium bowl, mix the butter, brown sugar, and sugar until fluffy. Add the sugar mixture to the flour mixture and combine. Roll about 2 tablespoons of the cookie dough into a ball. Place a caramel into the center and wrap the dough around the caramel completely.